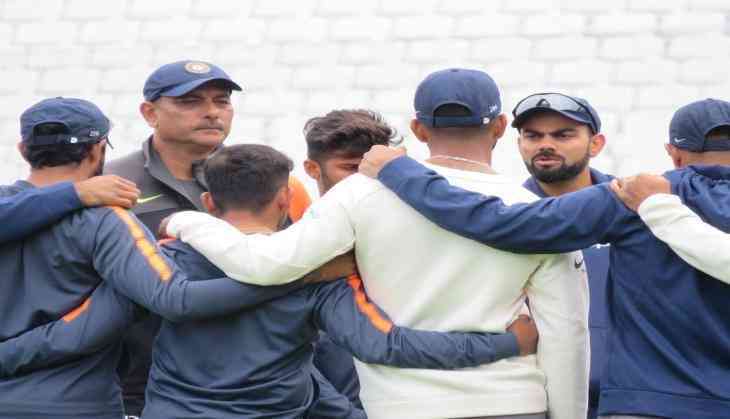 After losing the series 3-1 in Southampton, Virat Kohli's men will take on England for the fifth and final Test match of the summer at the Oval, London. When Virat Kohli takes the field at the Oval, he should look to bridge the gap and make it 2-3 at Oval. England, on the other hand, look to give Alastair Cook a perfect farewell by winning the series 4-1. Virat Kohli has been the brilliant batsman during the tour but also his captaincy has been questioned. He has been also be criticised for his regular experiment in the Indian Squad. So, the batsman who are struggling with the bat need to be change. Meanwhile it is the speculations that Hanuma Vihari and Prihvi Shaw may debut in the series, as per reported in EspnCricinfo. Hanuma Vihari has been in terrific form in domestic cricket. In Ranji Trophy season he scored 752 runs in six matches. He smashed triple ton for the first time in Ranji Trophy season against Odisha while playing for Andhra Pradesh. Hanuma Vihari was seen practicing with Ajinkya Rahane and Virat Kohli in the nets at Oval, London. Also Read: Asia Cup 2018: Pakistan batsman Fakhar Zaman's statement about team India will leave you in shock!